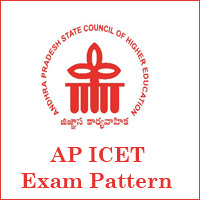 AP ICET Exam Pattern 2019 is available. We have provided below the Andhra Pradesh Integrated Common Entrance Test Pattern. So, the candidates who have registered successfully for the APICET Exam can check the Scheme of Examination. Interested candidates go to this page and get more information regarding the MBA Entrance Exam. Most of the candidates are facing problems while searching for the Andhra Pradesh Integrated Common Entrance Test Exam Pattern. Here is the solution to your problem. We have provided here the APICET Scheme of Examination in detail. A large number of candidates applied for the exam, and now they are eagerly searching for the Exam Paper Pattern. To start the preparation, you need the exam pattern. So, the candidates need not search here and there for the AP ICET Exam Pattern. To make your search easier we have provided the Integrated Common Entrance Test Pattern. We have also given the AP ICET 2019 Syllabus here. You have to know that planning and preparation plays a crucial role while preparing for the AP ICET 2019 Exam. To prepare well, you need the exam pattern. The Test pattern includes the details like the number of questions asked in the exam, the number of sections & duration of the time. With the help of the marking scheme, you can know the total no of marks then you can prepare according to the weightage of the marks. Give more importance to the topics having more weightage. You should prepare well to qualify for the AP ICET 2019. Without having any idea about the AP ICET Exam Pattern, you cannot start your preparation. So look at the below Exam scheme and then start your preparation for the exam. You can also check the AP ICET Previous Papers here. Andhra Pradesh State Council of Higher Education is organizing the AP ICET 2019 on behalf of Sri Venkateswara University, Tirupathi. So, a huge number of candidates applied for the exam. If you do not register till now, you can check the last date and apply on or before the last date. To help you we have also provided the important dates like starting and the last time to register the application through online. The primary objective of conducting this exam is to provide admission into various Post Graduate courses like MBA/MCA. Therefore, the interested candidates can check the below exam pattern and start your preparation for the Integrated Common Entrance Test 2019. You can also get the APICET Admit Card 2019 here. We have provided the AP ICET Exam pattern 2019 below. So, the interested candidates can check the below Paper pattern and prepare well for the exam. The AP ICET Paper Pattern 2019 is necessary for adequate preparation. Among the Given Four Options, Candidates have to choose one Option. There is no negative Marking for the Wrong Answer. AP ICET Exam consists of three Sections namely Section A, Section B & Section C with various subjects. The Duration of the Exam is 150 minutes, and the Maximum marks are 200. We have provided the above information only for the reference of the candidates. So, the aspirants can check the official website. We have given the direct link to the official site on this page. We will update all other information regarding AP ICET 2019 on our website. So, the interested candidates can visit our site regularly for the latest updates. I don’t know the last day for applying exam.is there any extension for applying online. Disclaimer: The Information provided here is only for Reference purpose. Visit the ICET Official Website www.sche.ap.gov.in/icet for complete details.